Miguel Angel Jimenez handled gusty winds and shot a 1-under 69 Saturday to grab the lead after the third round of the U.S. Senior Open Championship. 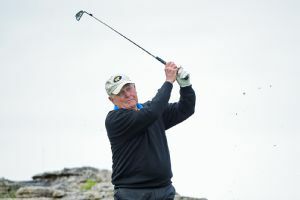 Former Ohio State player Joey Sindelar shot a 4-under 66 and leads the U.S. Senior Open by one stroke over Billy Mayfair. 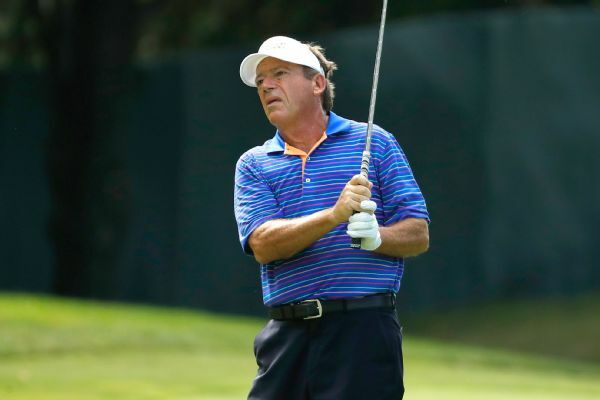 Former Ohio State teammates John Cook and Joey Sindelar shot a 10-under 60 in better-ball play Friday to take the first-round lead in the Champions Tour's Bass Pro Shops Legends of Golf.